Chris Agee is widely known as an editor in Ireland, Britain and the United States. He has edited Scar on the Stone: Contemporary Poetry from Bosnia (Bloodaxe Books, 1998, a Poetry Book Society Recommended Translation), Unfinished Ireland: Essays on Hubert Butler (Irish Pages, 2003), The New North: Contemporary Poetry from Northern Ireland (Wake Forest University Press, 2008, commissioned by the National Endowment for the Arts in the US), and The Other Tongues: An Introduction to Writing in Irish, Scots Gaelic and Scots in Ulster and Scotland (Irish Pages, 2013). He was invited to guest-edit a “Special North American Issue” (Autumn 1994) for Poetry Ireland Review and an “American Special Issue” (Summer 2000) for Metre, and to co-edit (with Joseph Parisi) a “Special Double Issue on Contemporary Irish Poetry” (Oct-Nov 1995) for Poetry (Chicago) – the latter the bestselling issue in that journal’s 83-year history. In 2002, Agee founded Irish Pages, now widely considered Ireland’s premier literary journal. 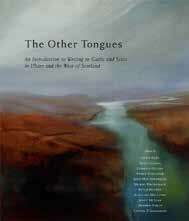 It has been variously described as “a wonderful achievement” (Michael Longley); “an important event in the history of Northern Ireland“ (Hilary Wakeman); “a major development in Irish literature” (John F. Deane); and “the most important cultural journal in Ireland at the present moment” (Jonathan Allison).